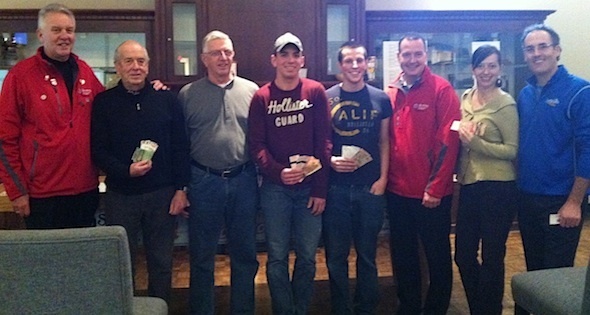 The second round of the Club Cool Shots competition was contested Feb. 3 at the Cataraqui Golf and Country Club and another four teams walked away with cash prizes and tickets to opening weekend of the 2013 Scotties Tournament of Hearts. Thirty teams representing the Cataraqui, Garrison and Gananoque curling clubs tested their skills in the popular tabletop version of the roaring game. 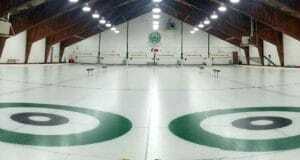 The four winning pairs were David Staples and Greg Sullivan (Cataraqui), Bruce Mountney and Ted Brown (Cataraqui), Doug Wark and Shelley Hirstwood (Gananoque) and Anne Spada and Betty Campbell (Cataraqui). 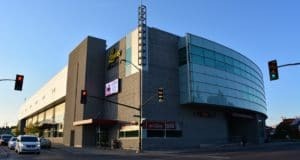 They’ll join the four qualifying teams from Jan. 20 play at the Royal Kingston Curling Club to compete for even bigger prizes in the Club Cool Shots Championship, Feb.16-17 in the HeartStop Lounge during the Scotties. 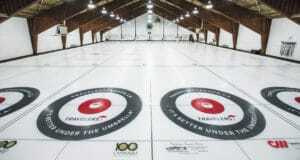 “You Gotta Be There” for the 2013 Scotties Tournament of Hearts, Feb. 16-24 in Kingston’s K-Rock Centre. Excellent seats are still available just by clicking here.